AJAX Product Filter v2.3.4. — WooCommerce фильтр товаров, дает возможность создать систему фильтрации товаров в интернет-магазине по разным критериям: по атрибутам, таксономии, иерархии категорий, мета полям, WooCommerce товарам и многим другим. Filter results are loaded via AJAX at realtime, but don’t worry about SEO Woo AJAX Product Filter uses HTML5 PushState and for old browsers HashTag fallback. 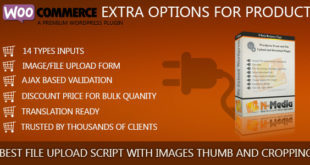 This plugin is best for stores with a lot of products and items or multiple product attributes. Add Unlimited Filters: There is no limitation, let the customers filter all the way through their needs. 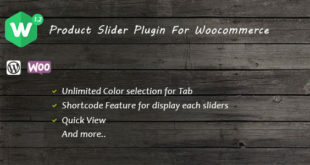 Three Types of UI: Slider, Drop Down & Checkbox (Toggle effect). Reset All Filters: Users can reset all filters to default by a single click. Merge Sidebars: Merge sidebars to save space of shop sidebar. Filter by Color, Pattern and Image: Assign an image for each attribute so users, see images instead of text for products filtering. Search Engine Optimized (SEO friendly): Filtered products are indexable and users can share links of filtered results. HTML5 PushState & HTML4 HashTag Fallback: Best experience in modern browsers beside supporting old browsers. Cross Browser Compatibility: AJAX loading, PushState,… has been tested with all major browsers old versions to the latest. Unlimited Filter for Specific Attributes archive/Categories archive: If you sell different products with different attributes this feature is for you. By using this feature selected categories or selected attributes can have their own filters without affecting the rest of the shop. AJAX Loading Results: Users can see filtered results at real time. Sort by AJAX: Sort and change order of products by 6 parameters and see the results in real time. 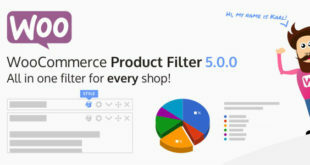 Drag and Drop Filter Building: Shop admin can drag and drop, unlimited widgets and build filters in a minute, each widget with its own different settings. Auto Blends With Shop Theme: Automatically adapts with your shop theme styling so you need no styling. 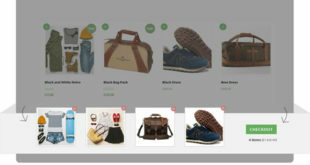 Hierarchical Category Navigation: Users can navigate through hierarchical categories; eg: Clothing > Women > Outwear > Jacket. Built with WordPress Best Practices If a task has multiple approaches the best one is selected. E.g: Product Filtering functionality only activates at WooCommerce area not everywhere, this makes the plugin fast and small footprint.